We are a dedicated group of Consultant Cardiologists specialising in the treatment of abnormal heart rhythms. We work as a cohesive team both in our NHS hospital and in the private sector and strive to deliver the best quality of care. We have vast experience with patients needing treatment for abnormal heart rhythms caused by heart rhythm problems and collectively we have performed 4686 electrophysiology procedures from 2002 to this year. Of these, 1017 have been procedures to cure atrial fibrillation. Click here to see the full list of procedures that we perform. Our services to treat abnormal heart rhythms include consultation with patients, investigations, ablation treatments and pacemaker implants for all heart rhythm conditions. For complex procedures we believe that the best results are achieved with the skills of two of our consultants working together. 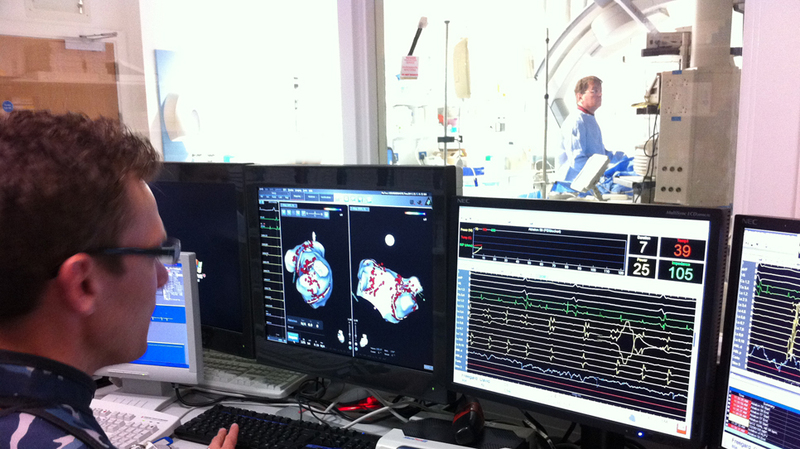 We are also able to provide ultrasound imaging of the heart and cardiac catheterisation services. Click here to contact us if you have a question. You will need to talk to your GP to arrange an appointment.